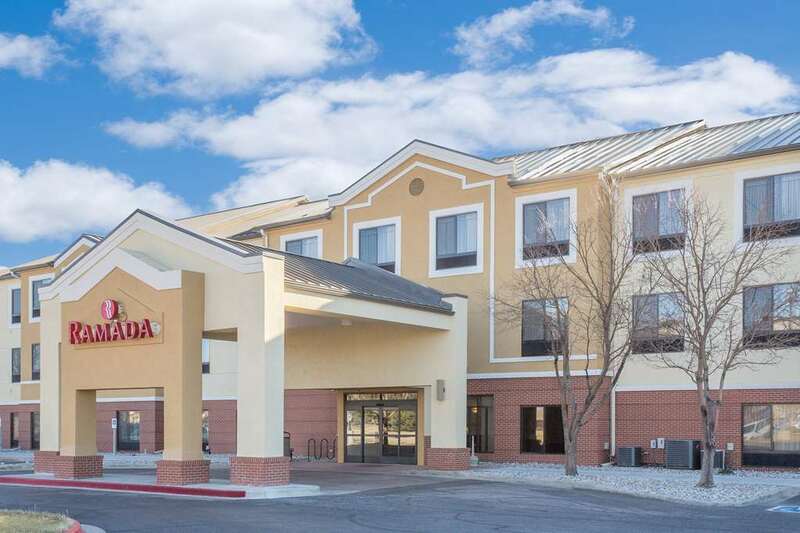 Thank you for choosing the Ramada Denver International Airport, providing 24-hour complimentary airport shuttle service and park then fly rates. This location is convenient to greater Denver. Walk to the Moonlight Diner for classic American comfort food. On-site, find a relaxing hot tub, an invigorating fitness room and a convenient business center, as well as a meeting room suitable for up to 36 people. Enjoy complimentary wireless Internet access and complimentary breakfast with hot items such as eggs and waffles. Spacious guest rooms are equipped with desk, ergonomic chair, hair dryer, coffeemaker, microwave, mini refrigerator and flat screen HDTV. No pets allowed.